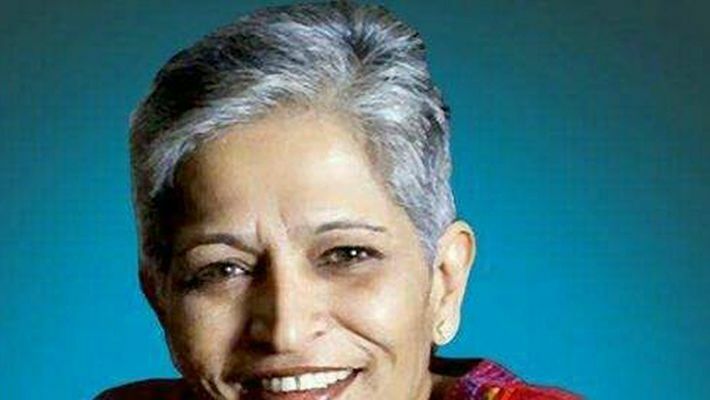 Bengaluru: The Karnataka high court denied bail to Mohan Nayak, an accused in the murder case of journalist Gauri Lankesh. The accused, Mohan, will continue to remain in Bengaluru central prison. Justice BA Patil observed that there was sufficient evidence to suggest that Mohan was part of the crime after hearing the plea. In July 2018, Mohan was accused of producing SIM cards and making arrangements for the other suspects to stay in Bengaluru, before the assassination of Gauri Lankesh in September 2017 at her residence in Bengaluru. The Special Investigation Team (SIT) probing the case said that the suspects resided in a house at Kumbagodu, 15 km from Gauri Lankesh's residence. Mohan, the seventh accused in the case, who was arrested in July by the SIT, alleged that there was no solid evidence linking him to the crime. Mohan has been slapped with charges under Sections 302, 120-B, 114, 118, 35 of the Indian Penal Code, Section 3 of Karnataka Control of Organised Crimes Act (KCOCA) and Section 3 and 25 of the Arms Act.